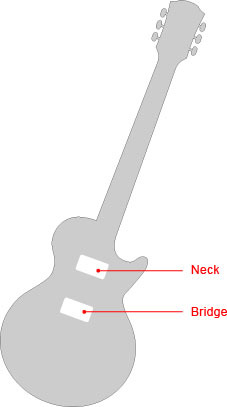 HUMBUCKER refers to a full-size pickup with 2 coils like the drawing on the left. 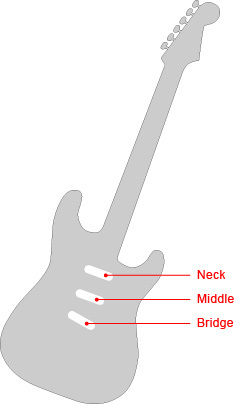 STRAT refers to a single-coil size pickup similar to the drawing on the right, but the actual pickup may be humcancelling and have 2 coils. Based on your information we will pick the top three recommended pickups that are best for your application. Please refer back to the details page of each pickup for complete information to further help you make a decision. If you still need help please contact our Tech Support.